On January 24, 1848, California’s most famous gold rush began. Sawmill operator James Marshall started the California Gold Rush when he spotted flecks in the Sacramento River in 1849. 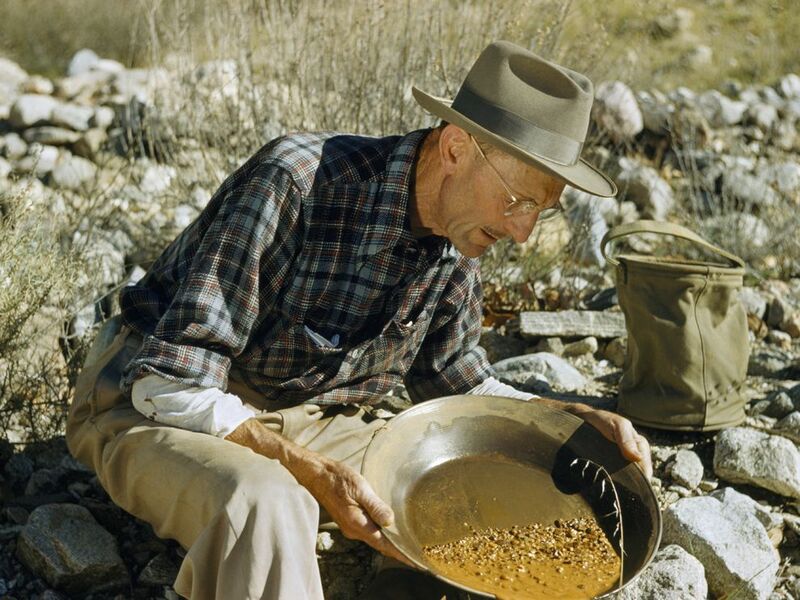 Thousands of prospectors flocked to the Sierra Nevada foothills, although few found their fortune. On January 24, 1848, California’s most famous gold rush began. A sawmill operator named James Marshall was inspecting the American River, which flowed below his mill, when he noticed shiny objects on the riverbed. After testing, the shiny substance was proved to be gold. News of the discovery spread quickly, and soon more than 300,000 people from the United States and abroad traveled by sea and land to California. They came hoping to strike it rich by mining gold. This mass migration was known as the California Gold Rush. A few prospectors and merchants became very rich; most returned home penniless. The migration transformed San Francisco from a small settlement to a major city, and new roads, railroads, and ports were built throughout the west to accommodate the new traffic. By 1855, however, the California Gold Rush was over. (1848-1855) worldwide immigration to California following the discovery of gold. valuable chemical element with the symbol Au. road constructed with metal tracks on which trains travel. facility for turning raw timber into boards and other lumber material.